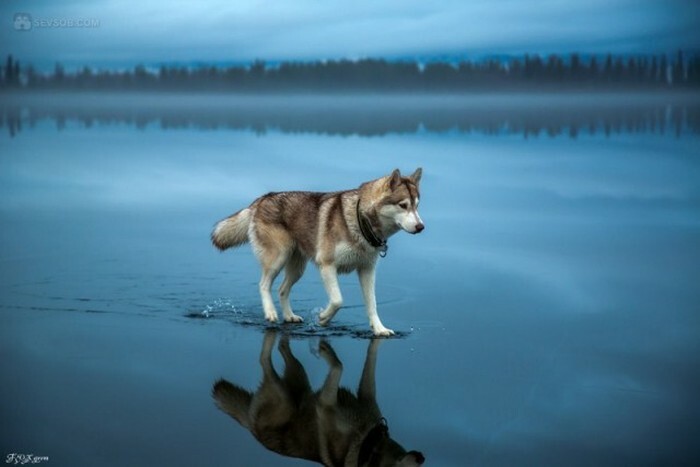 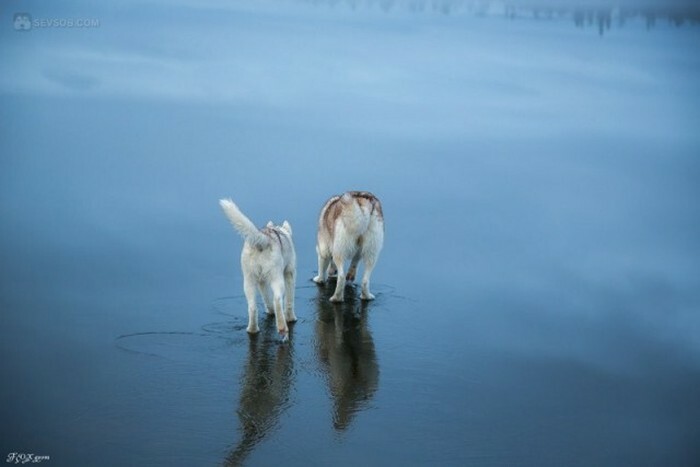 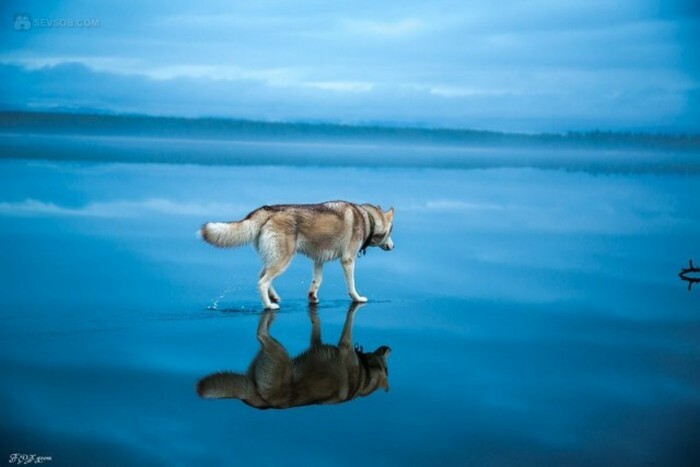 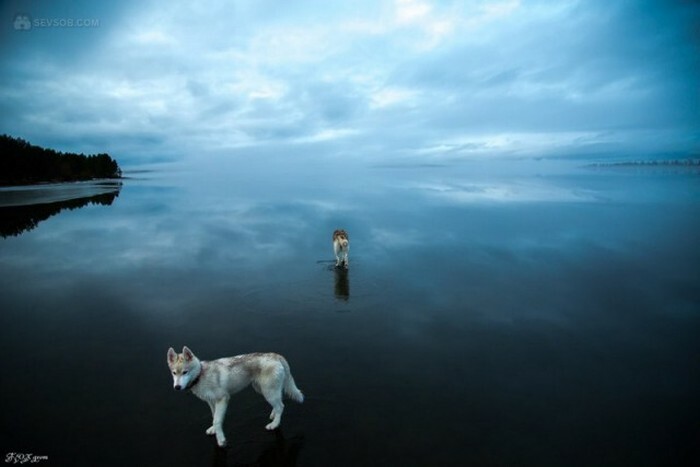 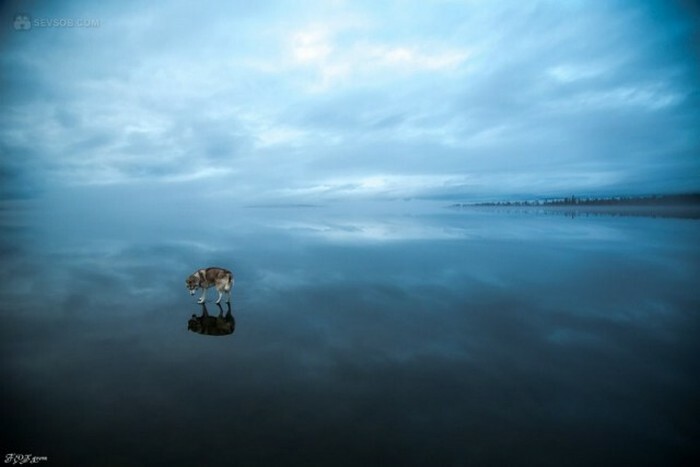 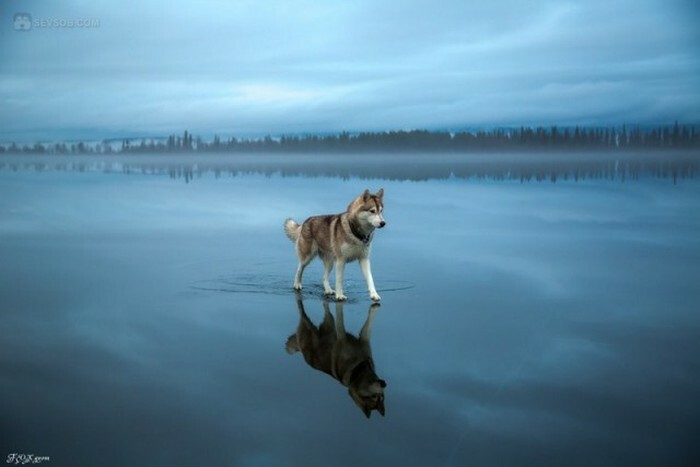 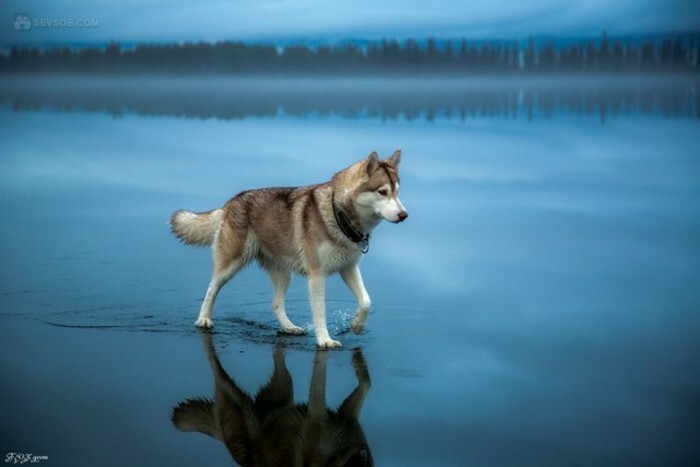 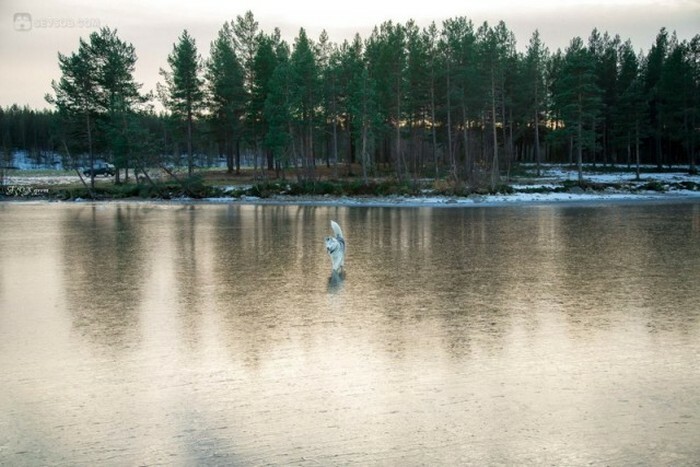 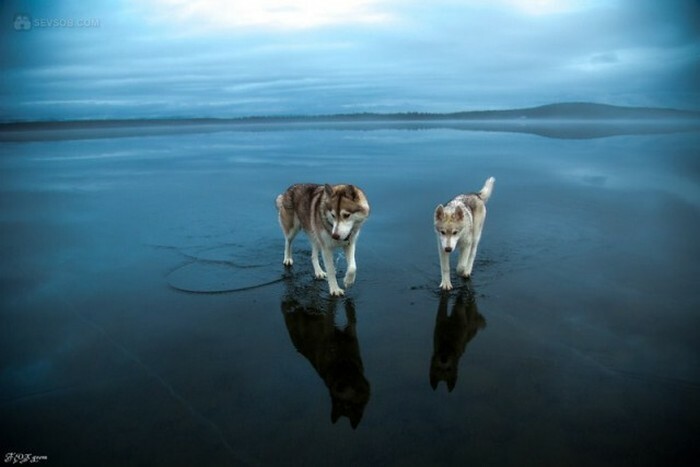 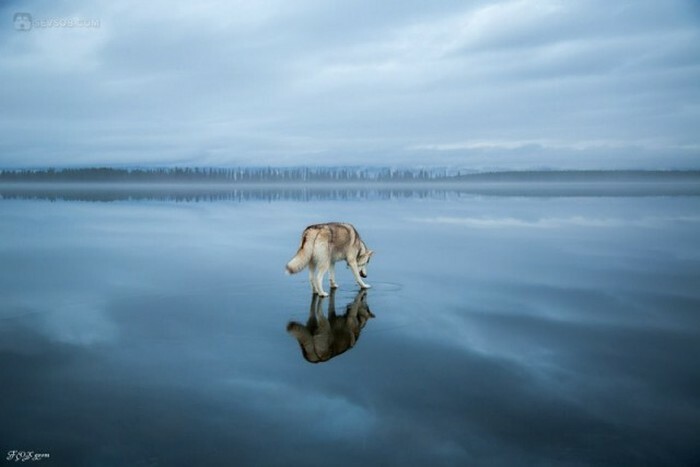 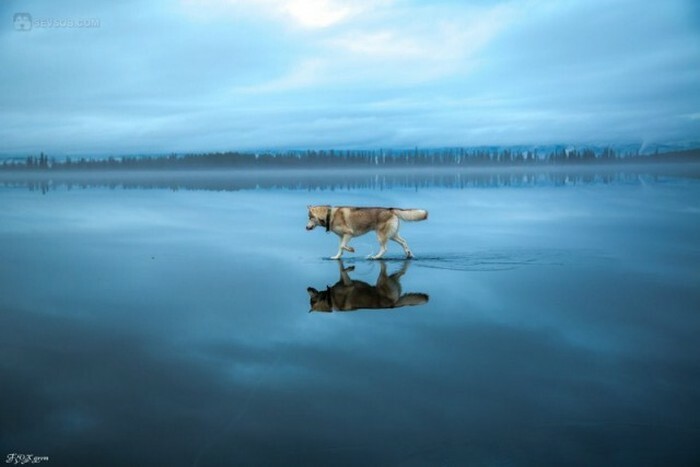 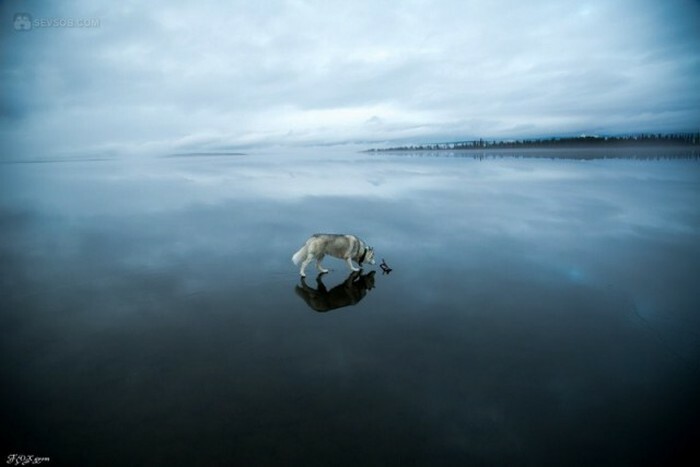 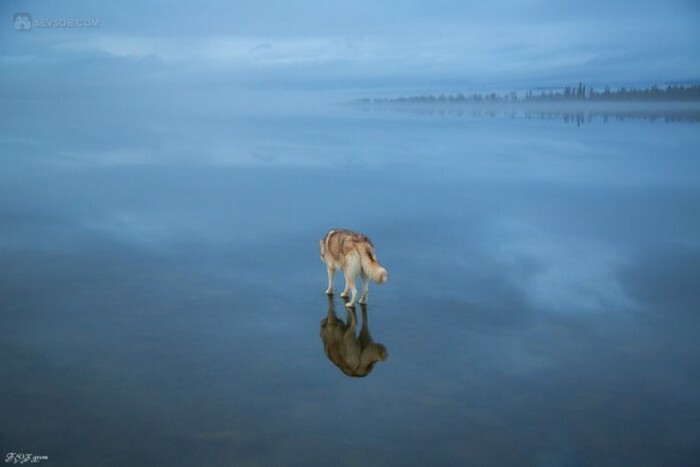 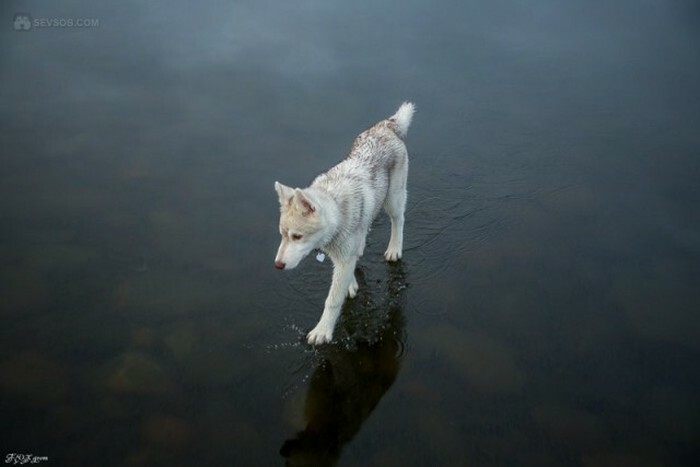 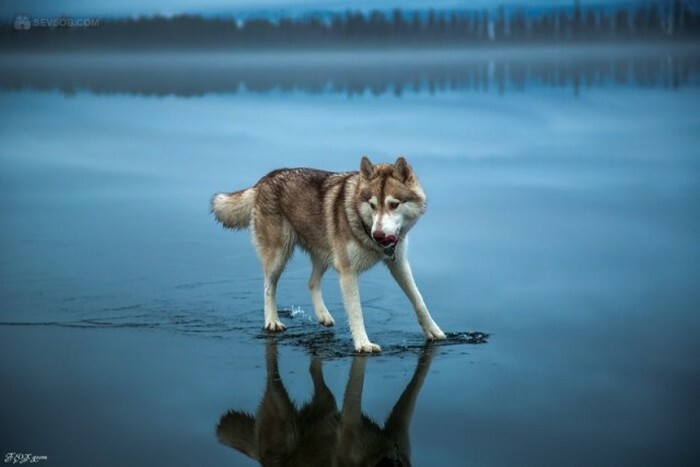 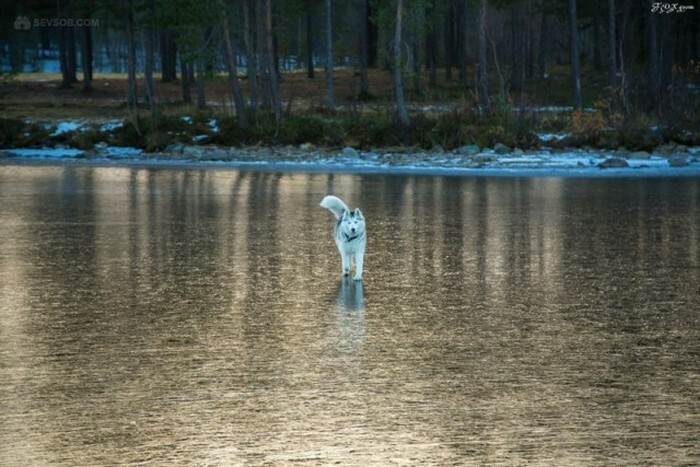 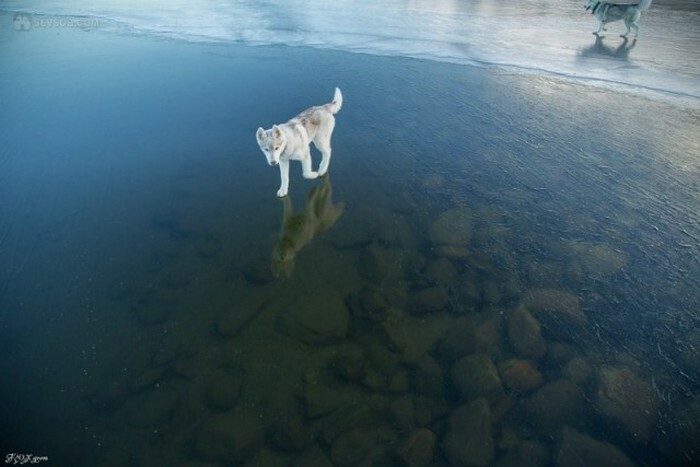 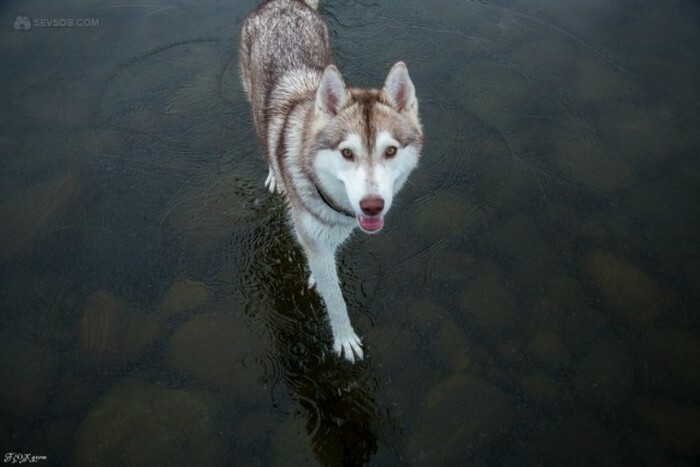 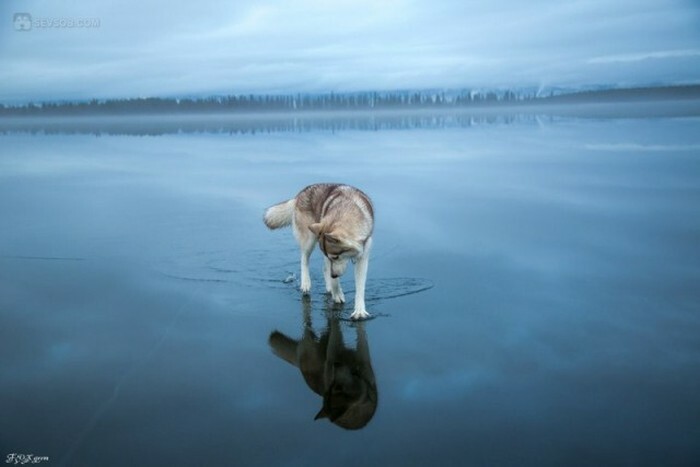 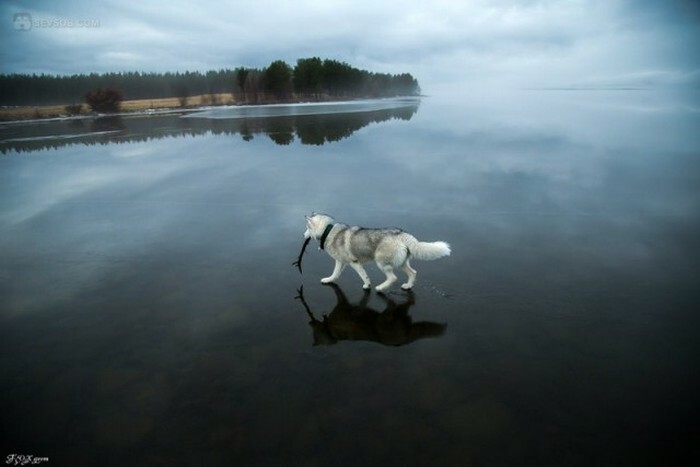 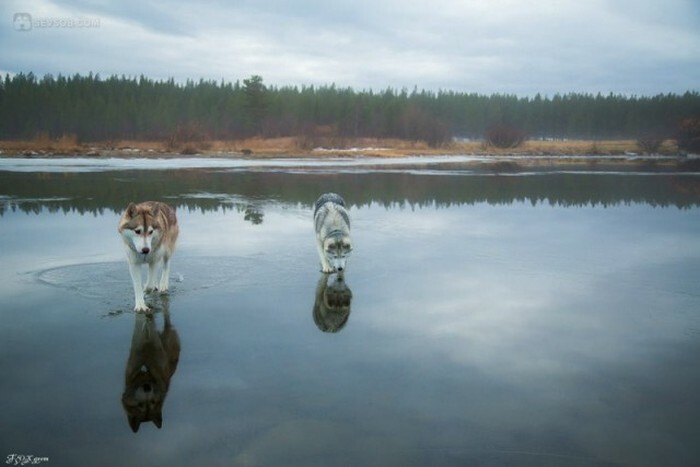 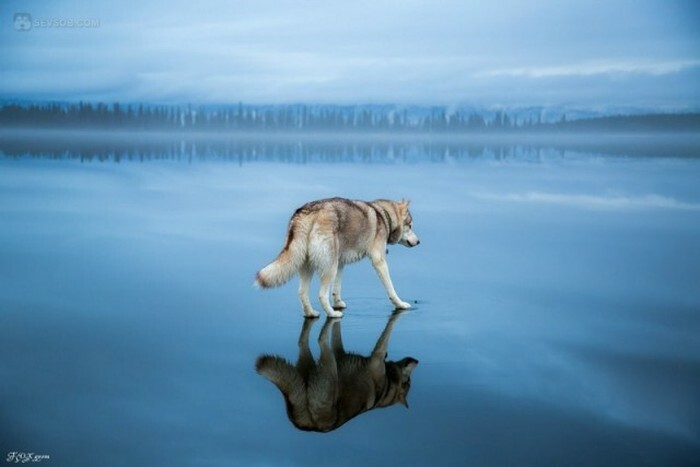 This husky got to walk on the lake at the perfect time. 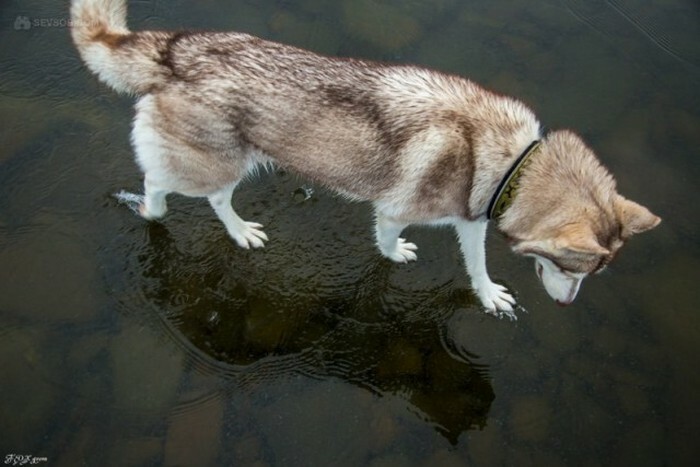 The ice is still frozen but also clear enough so that you can see what's underneath. 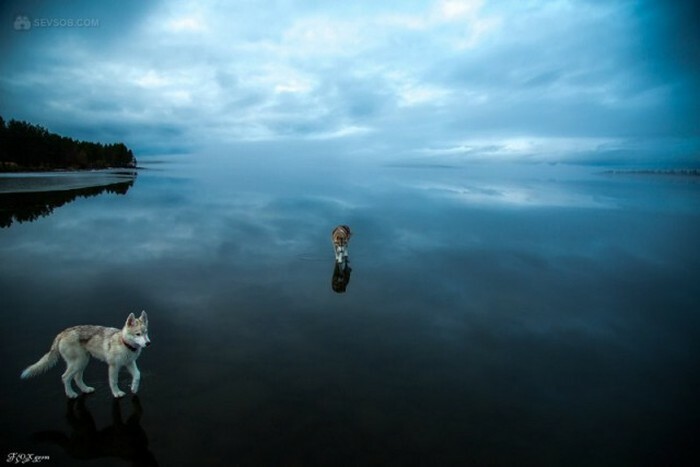 The scene made for some truly surreal images. 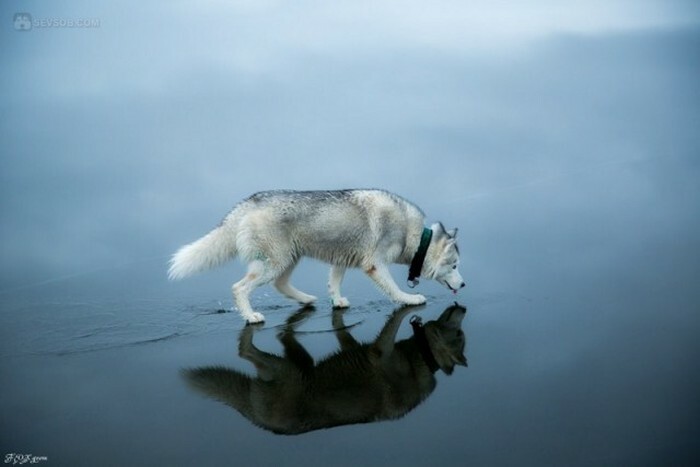 #10- and 14, since when does frozen water -or ice- ripple in the wind?